Then one cold, wet, chilly day, Dragon started sneezing. His snout started running and his eyes started watering, his ears were blocked and his throat was sore, but worse of all his fire breath went out. Cough, cough went Dragon but all that came out was a few little puffs of smoke. 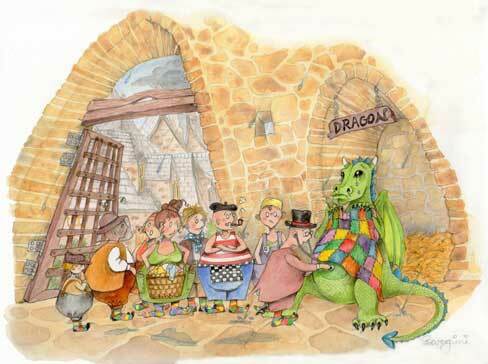 The villagers covered Dragon in a large blanket and the doctor hurried out to see him. “Maybe Jelly jam” said the baker. 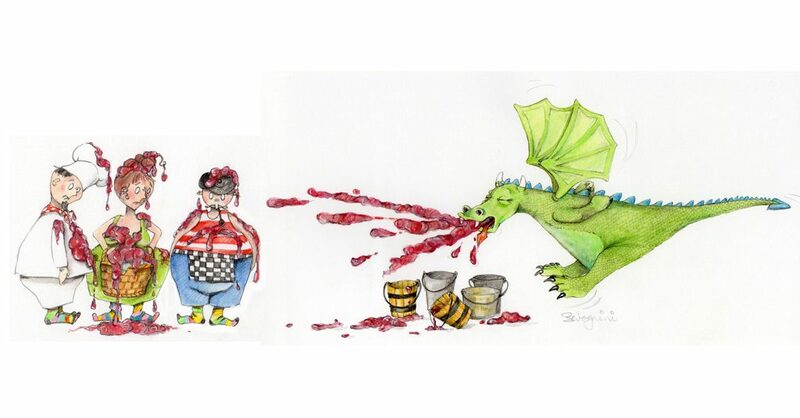 So the villagers brought five buckets of jelly jam for dragon to eat. But when Dragon tried to breathe his fire breath, all that came out was icky sticky jelly jam and the villagers were covered in it. And once again, no fire breath. Love the image of the dragon being fussed over in his cave. How does the story end?